Published on July 25, 2016 , by Admin02. This year 2016, Ramadan 1437 begins at sundown on Monday, June 6 or on Tuesday, June 7, depending on the moon sighting. The Islamic calendar is lunar-based, with each month coinciding with the phases of the moon and lasting either 29 or 30 days. Traditionally, one marks the beginning of an Islamic month by looking at the night sky and visibly sighting the slight crescent moon (hilal) that marks the beginning of the next month. This is the method which is mentioned in the Qur’an and was followed by the Prophet Muhamad. Ramadan is the ninth month of the Islamic calendar. It is the Islamic month of fasting in which Muslims around the world refrain from eating, drinking, that is in excess or ill-natured, from dawn until sunset. Fasting is meant to teach the Muslim patience, modesty and spirituality. Ramadan is a time for Muslims to fast for the sake of God (Allah) and to offer more prayer than usual. During Ramadan, Muslims ask forgiveness for past sins, pray for guidance and help in refraining from everyday evils, and try to purify themselves through self-restraint and good deeds. The dates of Ramadan vary, moving backwards about ten days each year as it is a moving holiday depending on the moon. Ramadan commemorates the month in which Prophet Muhammad received the first revealed verses of the Qur’an. To develop and strengthen our powers of self-control, so that we can resist wrongful desires and bad habits, and therefore “guard against evil”. In fasting, by refraining from the natural human urges to satisfy one’s appetite, we are exercising our ability of self-restraint, so that we can then apply it to our everyday life to bring about self-improvement. To attain nearness and closeness to God so that He becomes a reality in our lives. As we bear the rigors of fasting purely for the sake of following a Divine commandment, knowing and feeling that He can see all our actions however secret, it intensifies the consciousness of God in our hearts, resulting in a higher spiritual experience. To learn to refrain from usurping others’ rights and belongings. In fasting we voluntarily give up even what is rightfully ours; how can then we think of taking what is not ours but belongs to someone else? Charity and generosity are especially urged during Ramadan. We learn to give, and not to take. The deprivation of fasting makes us sympathize with the suffering of others, and desirous of alleviating it; and it makes us remember the blessings of life which we normally take for granted. The Ramadan celebration here in the Philippines and Mindanao, in general, and Ateneo de Davao University, in particular, is dedicated for fasting and reflection towards a better understanding of the facets of Islam among the Muslims and non-Muslims. Interreligious dialogue is one of the core principles of the Ateneo de Davao University’s vision, mission and goals. This month of Ramadan can be an active venue for both the Muslims and Christians in providing space for this VMG to materialize at the school level. 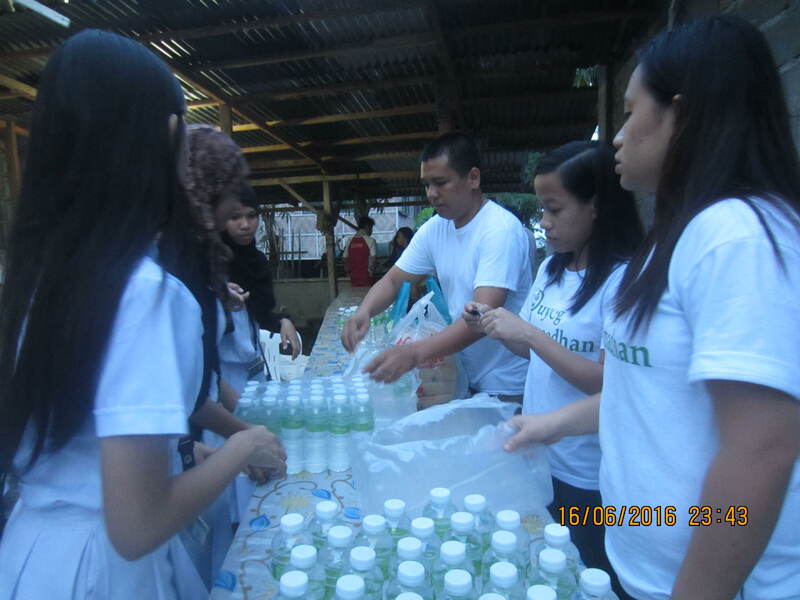 To demonstrate its aspiration of promoting peace and reconciliation during the Holy Month of Ramadan, Al Qalam Institute for Islamic Identities and Dialogue in Southeast Asia, and the Interfaith Youth Convergence of Davao City, with its partners distributed mineral water, dates, bread, fruits and coffee at day break during the end of fast every Friday within the Ateneo Community. There was also be film showing every Friday afternoon to raise awareness among the Ateneans the essence of Ramadan and why Muslims around the globe fast during this time of the year. Common issues and concerns such as unemployment, education, settlement, youth empowerment, and discrimination were raised by residents during the meeting. Most of these concerns were addressed by their Brgy. Chairman while Al Qalam Institute discussed its identity, programs and projects for the development of Muslim Filipinos specifically on the introduction of the concept and principle of Islamic Finance. 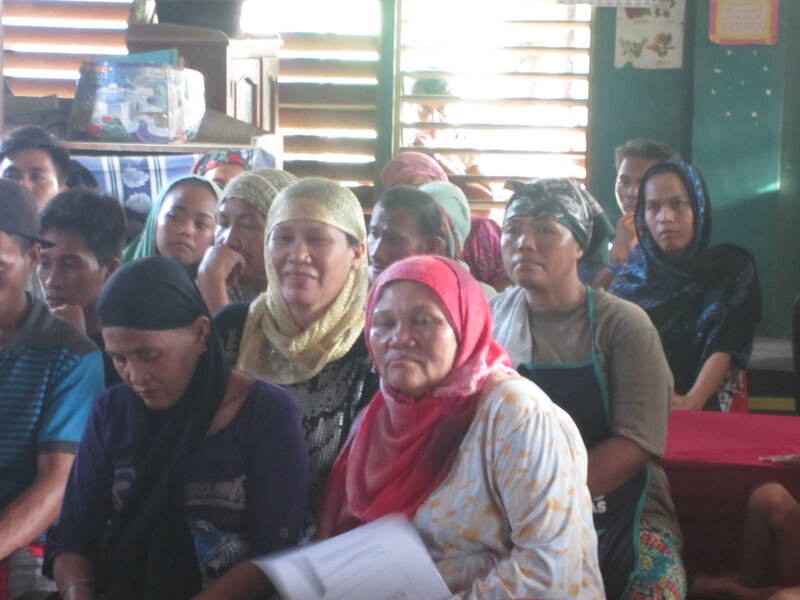 The community in return expressed their support for Al Qalam Institute’s programs and projects and hoped that Ateneo de Davao University will help in a way, for their betterment and transformation. The community engagement and exposure ended with a sumptuous meal as an Iftar in time for Muslims to break their fast as they observed Ramadan. With the Elders of the community and Al Qalam Force. 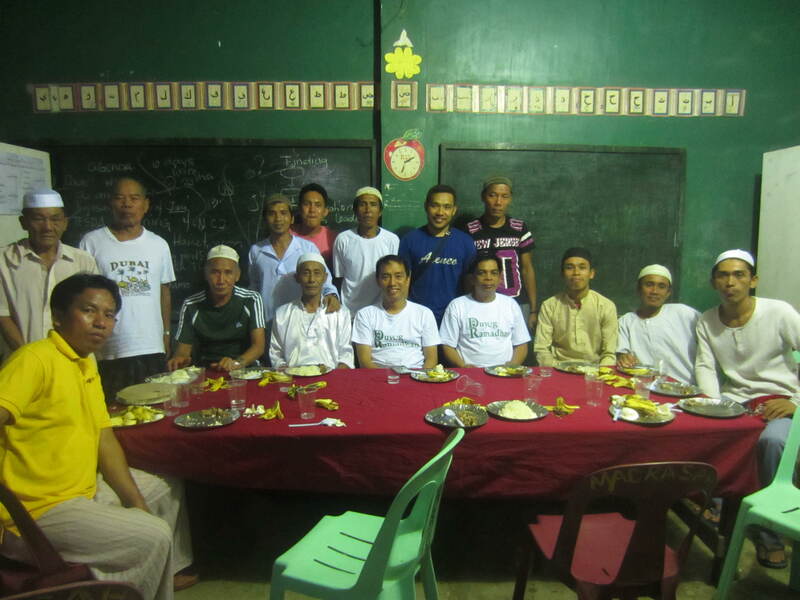 Al Qalam Institute’s second community iftar (breaking of fast food offering) service was held at Barangay Sirawan Toril, Davao City. Facilitated by no less than 10 persons coming from Al Qalam Institute’s Staff, AdDU’s SALAAM and AB Islamic Studies students, the activity started as the group arrived at 4:30 in the afternoon. Sirawan’s Council of Elders or the Kagan Tribal Council fetched the Al Qalam delegation as the food for iftar was collectively prepared. After the primary meeting with the community leaders, the group proceeded to the Masjid and unloaded the food in preparation for the iftar. The gathering started at 6:05 pm when the Community Leader called the adhan (call to prayer) which signals the time for breaking the fast. After the prayer, more or less a hundred members of the community benefited from the iftar offering. After the evening event, the Al Qalam group went to the office of the Community Leader to give him a token of appreciation, and the gathering concluded with a group photo shoot. MAA, DAVAO CITY, JUNE 24, 2016. It was raining when the group of Al Qalam Staff with joint participation coming from SALAAM Movement, Ateneo de Davao’s teaching staff and AB Islamic Studies’ Students arrived in the Community in MAA. Unfortunately, the group’s BLGU Transportation vehicle which was sponsored by the Barangay had an engine problem, and as decided by the whole group they rented a Public Utility Jeep. They arrived in the area at 5:00 pm while the community was having their Musabaqah (Contest) as part of their Ramadan round activity and it was their way in seeking nearness to Allah as Muslims. The group facilitated the activity and introduced themselves individually and as part of Duyog Ramadan and Iftar Program, Al Qalam Staff asked everyone in the community to introduce themselves at the same time. 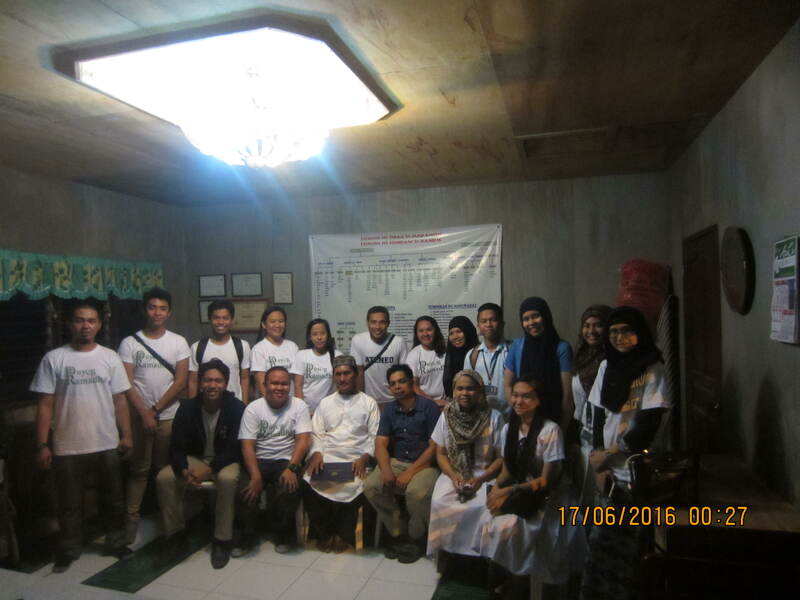 After that, one of the Staff of Al Qalam introduced what Al Qalam Institute is and its function to the Community and Mindanao as a whole. They also introduced the overview of Islamic Finance program that leads to a Shari’ah-compliant industry in partnership with the Peace and Equity Foundation (PEF). While waiting for the proper time to break the fast for Iftar, Professor Abubakar Ali of AB Islamic Studies Department shared more about the Jesuit Congregation for being open to Islamic faith towards understanding and love for the neighborhood and love of God as a common word. Prof. Ali also expressed his gratitude to Fr. Joel Tabor, the President of Ateneo de Davao University for accommodating Muslim-based Community in their Institution. He also enlightened the community by saying that the Muslim Ummah should respect differences in faiths and ideological beliefs as he cited a verse from the Holy Qur’an about accusations and having a doubt to a fellow human being and create a space in dialogue so that everyone understands each other. 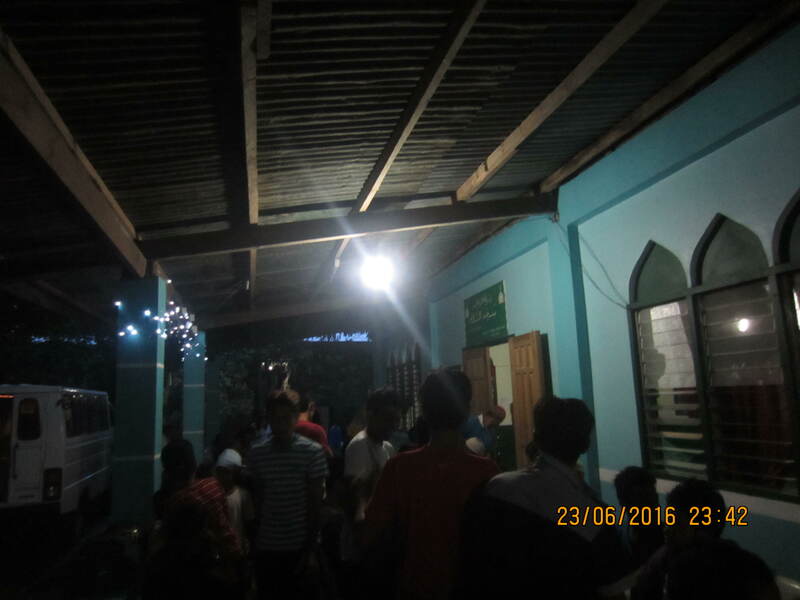 As the time for Maghrib Prayer arrived, everyone prayed and ate the foods that were served to them.